Learn about this local landmark and full-on lifestyle experience. 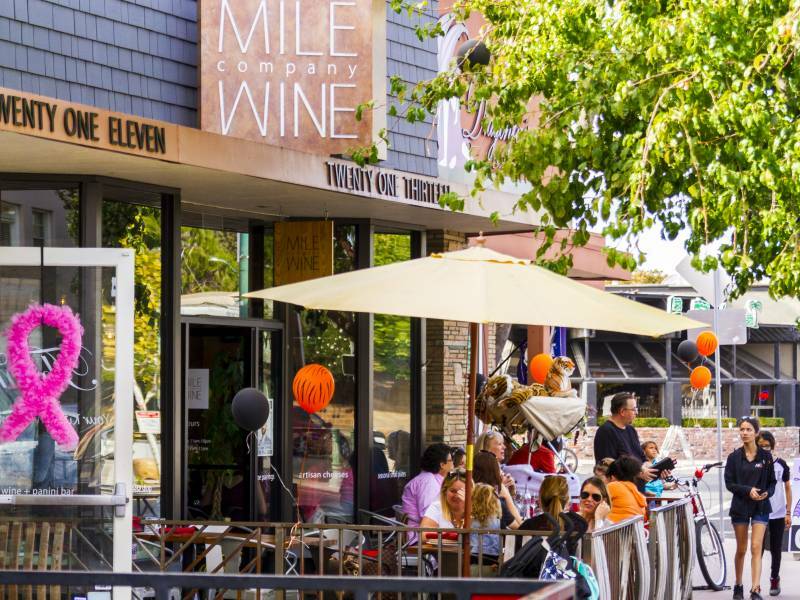 The Miracle Mile district is far more than a historic shopping strip that plays host to some of Stockton’s premier dining and entertainment options; it’s a local landmark and full-on lifestyle experience. Flourishing since the 1950s and ’60s—when every street was lined with burger joints and ice cream shops—the Mile has developed into a world-class, pedestrian-friendly promenade where you can start the day by shopping, stop for some lunch or dinner, take in a show and stay for a beer. One of the busiest places along the Mile is the Stockton Empire Theatre. Originally called “The Stockton” when it first opened in 1945, this historic venue hosts everything from concerts and comedy shows to film screenings and the performing arts. Full-service on-site amenities include dinner, drinks and dessert, and when there isn’t a show or premiere happening, the theater celebrates weddings and birthdays and even hosts corporate events on its ballroom floor. Another popular theater stop on the Mile is That’s Showbiz Theatre Company, a nonprofit organization dedicated to offering Stockton’s performing-arts community theater-arts education and live shows. Founded three years ago by husband and wife Kevin and Elizabeth Costello—who have both been involved in theater for over three decades—That’s Showbiz offers summer acting classes for all ages, and puts on its own shows. And if you are looking to buy makeup, costumes or novelties, the gift shop is open Tuesday through Friday from 4 p.m. to 6 p.m. and Saturdays from 11 a.m. to 5 p.m., before and after all That’s Showbiz performances. Tickets for the shows can be purchased here. Little do visitors know that the Miracle Mile is also an excellent place to spice up your workout routine by offering walking and running maps on its website. Start off with the 1.4-mile route and work your way up to 3.1 miles. The longest route takes you down along Yosemite Lake and American Legion Park and past Klein Family Field. Walk it, run it or take the kids on a stroll; it’s already mapped out for you. At the end of a long busy day on the Mile, unwind at one of its many salons and spas. Walk-ins are welcome at the Avenue Salon. This salon is happy to accommodate new and existing customers in order to create the best possible spa experience. Its highly-skilled technicians offer hair and nail service as well as body waxing and eyelash extensions. If a full-body treatment is more your style, stop by Kharma Spa and Boutique, where the staff is certified and trained in services including tanning, HydraFacials and diamond dermabrasion—an exfoliation experience that will make you feel like royalty. Don’t forget to check out the spa packages including the B.F.F., Ladies Night Out and multiple bridal packages. Celebrating 25 years of service to Stockton, The Spa at Southern Exposure offers packages for men and women along with haircare workshops and special anniversary discounts. Take advantage of the temporary $29 blowouts before one of the Girls Night Out events every third Thursday of the month. 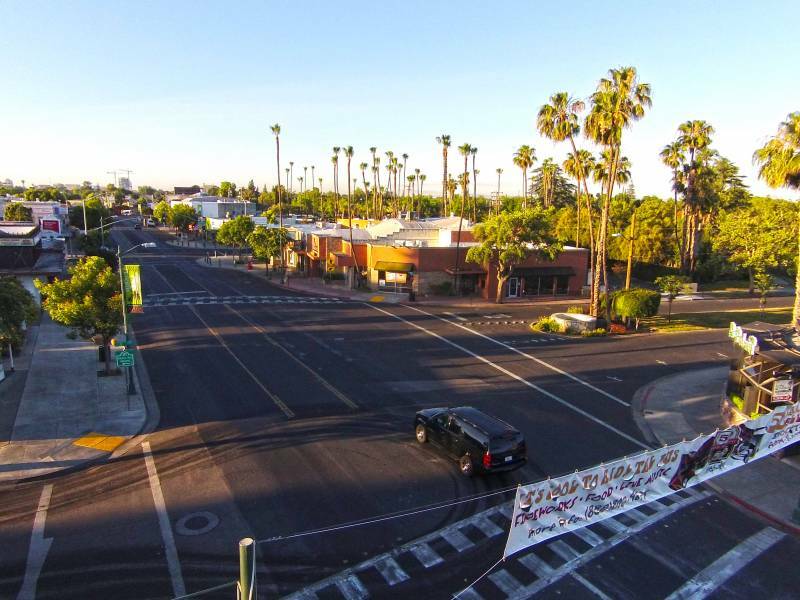 The Miracle Mile and the dedicated Miracle Mile Improvement District are excited to show off the recent beautification and infrastructure upgrades. Just as Californians flocked to see the grand stretch 50 years ago, they are eager to see what the new Mile has to offer. Local visitors continue to prove that a commitment to the town’s people and their businesses is a validation of their way of life. Come support and enjoy the Miracle Mile and don’t forget to check in on Facebook and share your tweets and photos using the hashtag #MiracleMile.